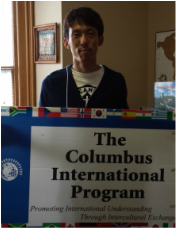 Through our partner organization in Japan (CIF Japan), we were asked to design a two week program in Disaster Management for Yoshiake Inoue. Mr. Inoue is a seasoned professional with extensive experience in Disaster Management and most recently has been involved with efforts related to the devastating earthquake in Japan. Yoshiaki Inoue is a social worker. Due to recent Tsunamis in Japan, Mr. Inoue wants to be better prepared in the future for any national disasters that take place in Japan. Additionally, he is interested in how the field of social work plays a role in natural disaster relief. After the Tsunami hit the shores of Japan, he worked with other foreign social workers who had different ideas on treating clients. Japanese social workers are trained to help people find jobs and housing. Currently, there is a Natural Disaster Relief Program that helps provide medical supplies and food. However, the organization does not provide grief counseling. He feels it is important for the Japanese to learn how to treat clients who deal with post traumatic stress. The delegation, a group of experienced business leaders from the Kaliningrad Oblast of Russia, participated in a training program focused on small business development with particular emphasis on practical training and potential collaboration. These business professionals lead INOK, ltd., and the Viktoria Foundation for Knowledge and Technologies for Small and Medium Business. Together, INOK and the Viktoria Foundation seek to meet the needs of the Russian private and public sectors by forging connections between existing businesses around the globe that provide technical solutions and Russian entrepreneurs who seek access to these technical solutions, thus contributing to the opening of the Russian market to the rest of the world. Additional information regarding INOK, ltd., and the Victoria Foundation can be found at www.inok.ru. A two week Art Therapy program developed by CIP. We hosted a delegation of four participants from the countries of Jamaica, Turkey and the Cayman Islands from July 15 – 31, 2013. The delegates are professionals who work in various fields related to Art Therapy. The four individuals are all self-motivated, professional and enthusiastic about coming to the USA to learn about Art Therapy as it is practiced here. During the 3-week training program, these social work professionals learned about the broad field of social work as it is practiced in the United States. Part of the delegation participated in the Art Therapy Program as well. Abdurahmon Isoqov is from Tajikistan and has a PhD degree in Pedagogics from Uzbek State University, Tashkent, Uzbekistan. He has worked as an English teacher at the Institute of Economy and Trade of Tajik University of Commerce. Later, He was director at the Engineering and Pedagogical College. Currently, he is working as Deputy Chief at Social Service Department. He is interested in learning how private, governmental and non-governmental organization provide social services including community projects and fundraising. Chopmoh E. Nven is from Cameroon and has a degree in Social Science at Cameroon General Certificate of Education Board. Since 2008 he has worked as a Rural Woman Development Facilitator, empowering women to acquire funds and assistance from the government. He is very interested to learn how to provide social services, how to raise funds to provide financial support for social services, and how to organize meetings with non-governmental organizations. Epie Ntube is from Cameroon and he has a certificate in Community Development. He has worked as facilitator and advocate for local communities in areas of health and rural infrastructure. He is very interested to learn about social services agencies and programs that empower communities to be self-sufficient. Aoki Masako is from Japan and she is a certified Register Nurse from Hodogaya Nursing school. Also, she has a master’s degree in Human Sciences at The Nihon University. She has been working as a nurse since 1992 at The Saint Mary Hospital School of Medicine and The Toho University Medical Center. She is interested to learn about the differences between Japan and US Aging System, how programs and treatments are designed, implemented, and evaluated, as well as cultural issues within the aging population. Stephanie Maurine Simpson is from Jamaica and has a Master of Social Work degree from the University of the West Indies – Kingston, Jamaica. As a social worker, she has gained experience working as researcher, counsellor and lecturer. She is very interested to learn about program and treatment plans to support patients with cancer and their families. Jaqueline Bryan is from Jamaica and has worked providing social services to communities. She is interested to get knowledge about Art Therapy to share and apply information in her home country. Additionally, she is very interested in all Social Services provided in the United States. Lorna Reid is from Cayman Islands and has a master’s degree in education. Since 1977, she has been working as an Art Teacher in different educational institutions. She is very interested in learning, practicing, and expanding her skills in Social Work and Art Therapy. Marjorie Anderson Simpson is from Jamaica and has a major in Organizational Behavior and Development Theory from South Bank University, School of Business in London UK. She has worked in the human resources field serving as consultant, conducting projects, and implementing and evaluating various social service programs. In June 2013, CIP launched the India Youth Advocacy pilot program with participant Meena Singh. Meena participated in a short-term intensive training program with local organizations that provided speech and hearing impairment services. Meena gathered valuable skills through interaction with youth service professionals, educators, and sign language interpreters that were implemented upon her return to India. 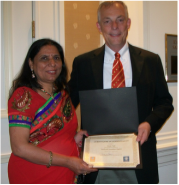 Based upon the success of the pilot program, CIP has decided to expand the India Youth Advocacy Program to host more Indian delegates in September 2014. Support the Annual India Youth Advocacy Program here. Delegates participated in programs aimed at the topics of libraries as centers of technological diffusion and the utilization of the internet as a wide-ranging resource for access and use of information. Activities included meeting with professionals from the library system, community centers, and other organizations involved in librarianship and technology. This delegation consisted of Kyrgyzstani library directors and representatives from the Ministry of Culture. Kyrgyzstan’s National Library of the Kyrgyz Republic opened its doors to the public in 1934. The Kyrgyzstani delegation improved upon their knowledge of using libraries as community centers of technology. Delegates participated in programs aimed at Government Accountability and Rule of Law that concentrate on executive functions. Activities include meeting with and observing civil officials in action at the local, state, and federal level. 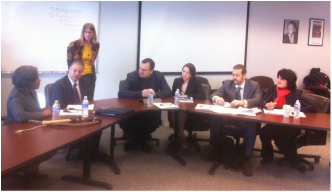 This delegation was a group of executive staff members from the Volgograd Oblast in Russia. Russia operates under a federalist system, divided into federal subjects such as republics and oblasts with various levels of autonomy. This delegation focused on the functions of the government branches including operating practices, legislation crafting, and constituent relations and how regional councils interact with the federal government.